There's a story I've not been able to talk about for a while - a story of which I'm very proud. And now I can tell you all about it. 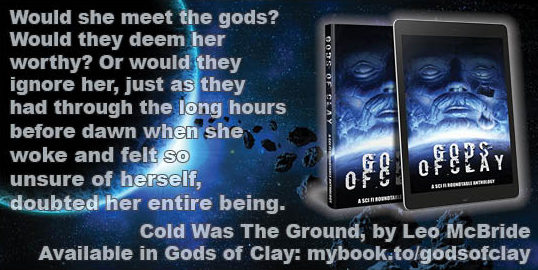 Cold Was The Ground is a new short story by me and it's going to be published in the forthcoming anthology Gods of Clay, published by that fine crew over at the SciFi Roundtable. Check out the cover, by the ever talented Ian Bristow. 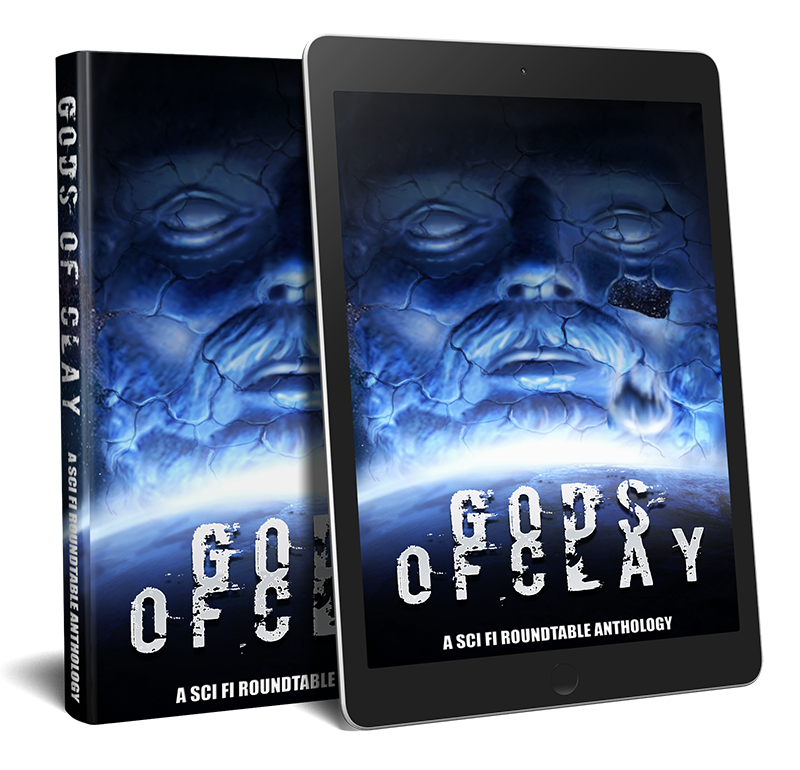 The anthology considers the nature of life, the nature of intelligence - and questions what makes gods what they are. Is faith born out of legend, conditioning or something else? 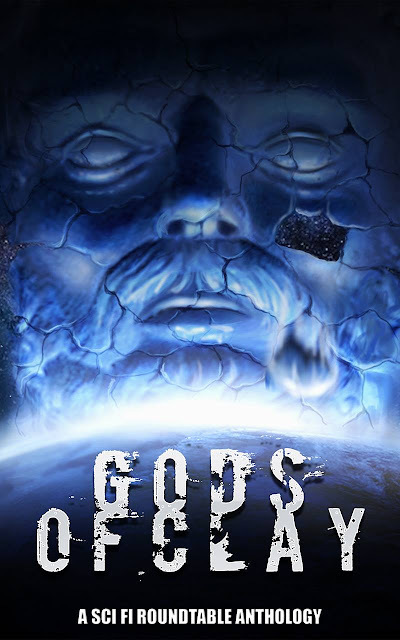 Are gods born out of legend? Or are some of our gods built out of nuts and bolts? These are some of the questions that swirl through the pages of the book, and there are some great tales. I had the delight of being able to read through the book ahead of its release - and write a foreword to it - and I can promise you some sizzling stories. Far be it for me to pick favourites, but I really, really enjoyed the first story in the book, from Jeanette O'Hagan. Wait... did I just pick a favourite? Shh, I think I got away with it. It's a privilege to be alongside such talented authors - my own story is set on a distant world, but inspired by a figure from closer to Earth. The story was inspired by the music of Blind Willie Johnson, and particularly his song Dark Was The Night, Cold Was The Ground. Blind Willie lost his sight as a boy - the story goes that his stepmother threw lye in his face, robbing him of his sight forevermore. Yet he learned to play the guitar, and he sang blues gospel as he travelled from town to town, through the roads and byways of the southern US, his slide guitar garnering fans along the way. He died in 1945, contracting a fever after living in the ruins of his house even after it was burned down. And that's it, right? Well, not quite. Years later, when Carl Sagan was tasked with putting together a selection of music to put on the golden record to be placed inside Voyager, to carry the sounds of mankind to the stars, he turned to the work of Blind Willie Johnson. Track 14, disk 2, the penultimate track. Blind Willie Johnson's voice still travelling, no longer on the roads and byways, but to the stars themselves.